Are you in need to hire security guards events for managing high level of security in the recent event you have planned? The big event you are going to host must be secure and safe for you along with all your guests. It is well known that you cannot keep an eye on all the suspects in the party for security. It is better to outsource security guards events after double check the security system provided by organization by which you are going to hire security guards. Why To Hire Secura's Guards For Events? 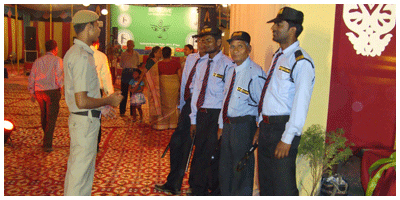 We train all our security guards to work for any situation and examine them to be sure that they are well trained or not to maintain security of conventions, exhibitions, parties, fairs, and all other events. After being sure, we keep them on duty or patrol. So, it is better to hire Secura's security guards events over hiring some non-professional security guards.